March 4, 2019 – Dubai UAE – Last week, in the greatest and biggest youth academies league in the region, brought to you by the Dubai Sports Council, there were some very intense matchups with teams like Al Wasl Club, in the U14 category, securing their spot in the Challenge Cup Playoff series which will be held at the end of April. In the U18 category, Du LaLiga HPC came out with a gratifying win against Invictus academy who put up a good fight but du LaLiga HPC took the win and solidified their No1 position in the top-flight category of the Dubai Sports Council Football Academies Championship. Additionally, Spanish Soccer Iniesta had a very close match with Barca Academy, but came out victorious with a 1-0 win. In the U16-B category LaLiga Academy and Barca fight for the coveted spot in the Challenge Cup playoffs, while leaders du Laliga HPC, along with second-placed City FC have secured their places from the U16-A division. The matches this weekend were never the less very competitive, with FSC Foxes and Go Pro taking a draw of 1-1 and Dubai City FC beating Shabab Al Ahli Dubai club 3-1. In the U14 category Barca Academy Guardiola and AS Roma close out a very tight match with Barca Academy taking the lead at the end of the game and finishing 2-1. Al Wasl Club beat the one and only academy competing from Abu Dhabi, 11-0, while group leaders SSS Iniesta maintained their lead with a win against Barca Academy 4-1. Next week we will see the last match ups of the U18 category, with SSS Iniesta going up against second-placed City FC and Du Laliga will aim to close out their season undefeated when they take on Barca Academy. In U16, LaLiga Academy will face off against last place Talented FA, and Al Wasl and Go Pro will go at it head to head fighting for fourth place. 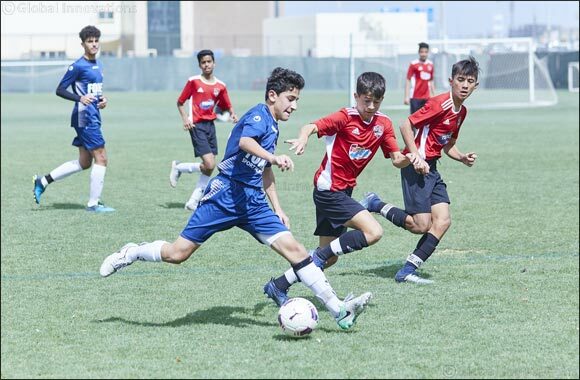 The Dubai Sports Council Academies Championship is the largest tournament of its kind, expanded this year to include 100 teams and 2300 players from private and local club academies. The tournament is played at the finest facilities in Dubai including Al Wasl Club, Shabab Al Ahli Dubai Club and Dubai Sports City Stadium, and runs from October 20, 2018 to April 27, 2019.